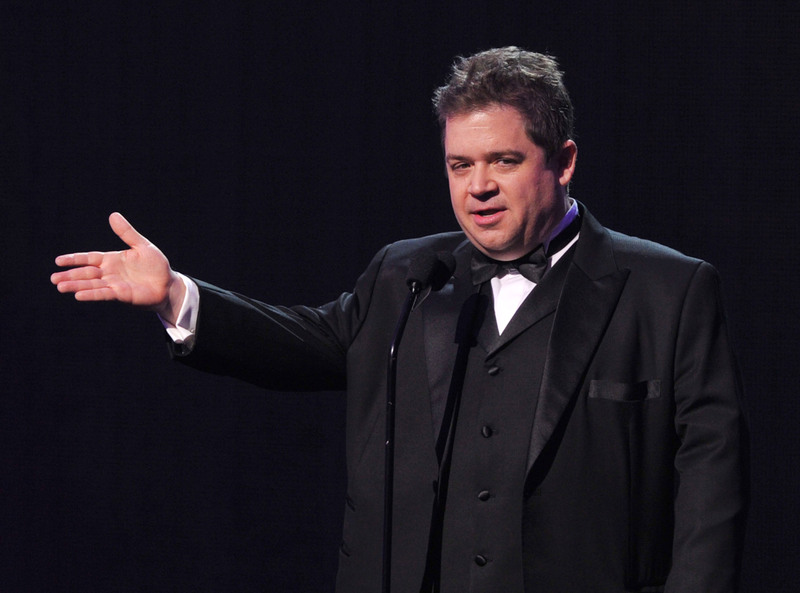 If you know comedy right now, you know Patton Oswalt (and you missed him over his Twitter hiatus this summer). And if you know TV comedies that won Golden Globes halfway through their first season, you know Brooklyn Nine-Nine. The natural dovetail of these two pieces of knowledge is, of course, Patton Oswalt returning to Brooklyn Nine-Nine , now that the show is back for its second season on Sunday nights. Last season, Oswalt dropped by a few times to play the 99th Precinct's Fire Marshall Boone, who hates Peralta almost as much as Peralta hates him back. Since we've already established that you know both Oswalt and B99, it's easy to imagine where things go from there — insults slinging back and forth, derisive comments about one another's brand of civil service, throwing things/putting one another into headlocks — and it's going to be hilarious. But what other shows has Patton Oswalt been in? Unsurprisingly, a ton. And this is just a few highlights — he's also done plenty more, from a guest voice on Spongebob to writing for MadTV. But if you're not a big standup fan and still find yourself scratching your head thinking "I know this guy," it's probably from one of these standout performances. For years Oswalt played Spencer, a supporting character on King of Queens, while working to develop his voice and fanbase as a standup. It's not his "best" role, but there's no overrating a steady gig. And while working there, he was able to do a very weird experiment where Oswalt stood completely still during one of the opening scenes. Seinfeld, Friends, NewsRadio — if you had a sitcom in the '90s, then every comedian in Los Angeles had a guest spot on one of your episodes, and Oswalt did them all. This proved Patton could take on drama just as easily as he could do comedy, and probably provided evidence to casting directors that he could handle movie roles like Young Adult or Big Fan. And he got to share a bunch of scenes with the amazing Rosemarie DeWitt, whose character was floundering until she met Oswalt's Neil. He played not just BoJack's agent, the Penguin who works for Penguin Books, but a litany of other, smaller characters, including Charlie Rose and Neil McBeal the Navy Seal (who is also literally a seal). BoJack Horseman began as a somewhat uninspired Hollywood satire, but ended as an actually poignant comedy about getting older. His Star Wars-themed filibuster is not just the nerdiest thing ever to appear on television, it's also a remarkable piece of fan fiction that would leave even the most dedicated Tumblr Marvel fanatics slack-jawed and impressed. Thankfully, he still has time to do smaller guest spots on shows like Brooklyn Nine-Nine even though this season on AoS he's embroiled in the ongoing Hydra-or-not-Hydra conflict. Yep, the comedian provided the vaguely accented, very yelly voice of Professor Dementor on Disney's animated series. It's not his most nuanced role, but it's the place where I first encountered Patton's work, and it was actually what prompted me to first check out his standup. And since he's been keeping his kids' entertainment career alive with films like Ratatouille, I'm sure the next generation discovering Oswalt's comedy will have similar memories. Besides, anyone who got to be involved with Kim Possible should be incredibly proud. Even you, DNAmy — I mean, Melissa McCarthy!